Dedicated to promoting health in our communities and our environment. We plant trees and native plants to clean up our air, water, and carbon pollution as well as increase the beauty of our neighborhoods. Join us for our annual Earth Day event! The National Academy of Science has stated that proper land use management is currently the most cost effective way to employ the direct carbon capture method. Earth Runs estimates that just in King County alone there is room for over 50,000 more tree's that would capture and clean millions of tons of carbon, air, and water. Cooling the climate and providing more habitat and food for wildlife. New year new plantings. We went around and installed a few trees and native plants along traffic circles and busy streets to help clean up the air and slow people down. We installed a City of Seattle street tree approved Ginkgo Biloba, Vine Maple, Snowberry, Western Red Cedar, native rose and a few others to add to the mix. Our annual fall planting party was at Magnuson Park. We continued on Sports Field Drive adding more trees and native plants to make the land more ecologically productive. Not all of the trees planted in the Fall will make through our dry summers, but we do try to replace the ones that don't make it. This Doug Fir will have lots of time in the Fall and Spring to grow roots for the summer. Earth Runs granted Jessica, a local from Shoreline a couple nice trees to plant and she has been keeping them in good health! We got in a Doug Fir, Western Hemlock and a few ferns and local shrubs as we wrap up our planting season and then shift gears to watering for the summer! We granted around 300 Western and Mountain Hemlock as well as some Douglass Fir to tree planters from Tacoma all the way up to Belllingham. Projects included stream restoration, property reforestation and just general health and beauty in peoples yards. Over 600 trees and native plants were given to participants, the Seattle parks department, Seattle Green Partnership as well as installed at Magnuson Park. Wind, rain and snow but we still got some trees in the ground. Completed a planting on NE 89th St as well as Roosevelt. New year new plantings! We got a truckload of more native plants and trees going in around Seattle and of course Magnuson Park. We got big leaf maple, paper birch, indian plum, ninebark, red twig dogwood, snowberry, sword fern, hemlock, dug fir, cedar, and vine maples. Over 100 native trees and plants were installed at Magnuson Park along Sports Filed Drive. Turning this area into forest has many benefits such helping air, water and carbon pollution but also it lowers the cost of maintenance for the parks department as they will not have to mow that part of the lawn anymore. This saves thousands of dollars in maintenance in the long run. We granted over 100 native saplings to projects all over the state. This years variety was Western Hemlock, Mountain Hemlock and Noble Fir. Planting areas included the Burke Gilman Trail, South Seattle at the living building challenge, a ravine restoration in Harbour Pointe in Mukilteo, restoration in Bellingham, WA from Garden Cycles, and property re-forestation's in Snohomish and Enumclaw. Thank you to all that participated! In order to reach Seattle's canopy goal of over 30% the best areas are where there is a large gap, this location was great for that reason. Planting tree's in traffic circles is one of the best ways to increase the city's green canopy. We did a few plantings on Evanston Ave N and Linden Ave N.
We did some blackberry removal and installed some native plants and trees. We got in a native Crab Apple and Choke Cherry to provide food for wildlife. We also got in a Western Red Cedar as well as some Birch trees, Hawthorne, and ferns. We donated 100 tree's to the Cub Scouts to plant out in Bellevue. Nice works guys. We planted over 70 native plants and tree's at Magnuson Park, potted and gifted over 600 Douglas Fir and Western Hemlock to participants and the Seattle Parks Department. We also collected over 100 pairs of used running shoes and donated them to Africa. Not to mention a whole lot of calories burned in the 5k, 10k and half marathon. Way to go! 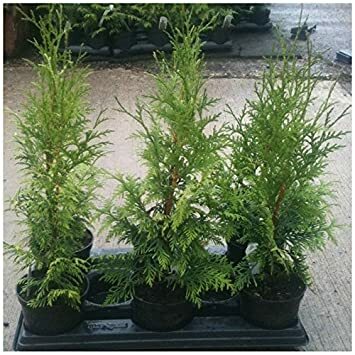 Thanks to the Parks Department for growing out our Western Red Cedar Saplings for two seasons so they will have a high success rate since the roots have grown large and even out of the pots! (Good thing). Tom from Seattle Green Partnership was able to get over 50 of them in the ground the past week helping to make the forest at Magnuson Park more diverse and robust. The days are short but we make the best of them. We did invasive blackberry removal and planted some native Doug Fir, Western Red Cedar, Oso Berry, & Black Hawthorn in the North Park neighborhood of Seattle. Also, took out 3 bags of trash! Earth Runs installed over 100 native plants and tree's along sports field drive to fill over a quarter acre. Earth Runs installed a Cornus Dogwood and a Cedar Tree's to extend our Sports Field Drive plantings. Earth Runs donated another 500 native tree's to local planting projects in the area. Participants had to make sure the site was suitable and they had to commit to watering the trees throughout summer. The projects ranged from residential plantings to boy scout plantings as well as the Kitsap County Juvenile Department and our youth do restoration projects on the Kitsap Peninsula. We handed out over 300 native tree's to participants to plant as well as potted over 200 and donated them to the Seattle parks department. The types of trees were Western Red Cedar, Douglass Fir, and Red Oiser Dogwood. We also planted over 50 of these at Magnuson Park on Earth Day! Plus we collected over 100 pairs of used running shoes and donated them to Africa. Last but not least we raised money for the Mangrove Action Project for their plantings. Mangroves sequester more carbon than any other tree on earth. After a car crash taking out the caution sign and half of the vegetation on North Park Ave. and N 109th st. Earth Runs came to the rescue and planted a Oregon White Oak along with some flowers. The deciduous tree can grow up to 80 feet tall and it's green leaves will help shade the street in our hot summer days. We planted an American Hornbeam which is a rounded deciduous broadleaf tree that can grow up to 30 feet tall and 30 feet wide which is what you want in traffic circles. Planting shade tree's in traffic circles are the best because they will grow and turn bad wasted concrete space into a useful tree canopy that will provide food, filtration, and a cooling effect on the pavement below. Seattle's canape is decreasing so plantings like this help to mitigate the damage. We planted nearly 100 native plants and tree's at Magnuson Park in efforts to connect two forests back together! Over 15 volunteers showed up planting the following species: Dug Fir, Western Hemlock, Cascara, Black Hawthorn, Sword Fern, Salal, Oregon Grape, Western Hazel, Evergreen Huckleberry, Ocean Spray, Nootka Rose, Snowberry, Serviceberry, Thimbleberry, and Indian Plum. We also did an addition to Sports Field Drive. Nice work! We donated 40 Sitka Spruce tree's to Seattle Green Partnership and they have now got them in the ground at Magnuson. Nice work! This is a nice native vine maple we added to a traffic circle in the North Park neighborhood in Seattle. Below is a planting of a Mountain Hemlock and a Vine Maple both native to the Pacific Northwest. This planting was done near North City Park in Shoreline. Native plants are more resistant to our climate and naturally help improve the local ecosystem. We did a small planting off 103rd Ave in North Park. Two Vine Maples and an Alaskan Weeping Cedar will now provide shade in the summer and filter the water through their roots coming off the hill behind it. At this years Earth Day Run we were able to get some fitness in as well as help our lovely planet we all enjoy. Double wammie! A little recap: We gave away over 300 Sitka Spruce tree's for the participants to plant, we donated over 100 trees the Magnuson Parks Department to plant, we did a small planting on the parking strip with native plants and trees, we donated over 100 pairs of shoes to Africa which is used to buy fruit and tree seeds, and donated $250 to the Mangrove Action Project so they can support mangrove restoration projects now taking place in Honduras, where they are restoring a degraded mangrove area on Isla de Pajaros. All in all we are talking about tons of carbon removal from the air and much more benefits from these actions. Earth Runs helped sponsor the removal of a large metal fence to make room for two native trees and a native shrub. An almond tree, native oak tree and a cascara were planted. The Oak tree will eventually grow to 50 feet providing lots of carbon capture and habitat. The almond tree provides flowers for bees, a small crop of food, and can grow up to 25 feet tall. The cascara which is a native that is drought resistant, provides berries for both humans and wildlife, and flowers for pollinators. This is utilizing proper land use management as having large areas of grass is not productive. Say hello to Doug the douglas fir. He is 5 years old and ready for the real world. Each day he works hard to remove carbon dioxide and many other polluting particles and replaces them with clean oxygen. He will also help filter water and in later years provide habitat for wildlife. Over 40 native plants and trees were planted along the roadway of Sports Field Drive at Magnuson Park Seattle. Benefits include over 1,000 lbs of carbon storage annual with that rate growing each year. Over 2,000 gallons of storm water runoff will be stored and filtered in the root system. Mitigating the heat island effect of sports field drive, lowering the local temperature by 10 degrees and providing a longer life for the road. Future homes for wildlife. Three Fuji Blossoming Cherry Trees were planted by Earth Runs on 37th Ave in Lake Forest Park. Benefits include food for bee's and wildlife, carbon reduction, noise reduction, increased traffic safety as well as aesthetically pleasing. Over 350 trees were given out as well as an additional 300 planted in honor of each finisher. Benefits include mass carbon reduction as well as getting the public involved with learning and taking action on the environment. The intersection of Whitman Ave and 107th in Broadview Earth Runs planted a Stormcloud Plum tree. Food for consumption as well as wildlife habitat, carbon reduction, cars drive slower, increased shade and lower the micro climate are just some of the benefits from planting in traffic circles. Earth Runs has been doing planting in Washington since 2008, not all plantings are documented. Contact us if you would like to volunteer or have a planting idea!